A Canadian surprise, Congorama is well acted, nicely shot and manages to be reasonably smart without getting aesthetically stupid. 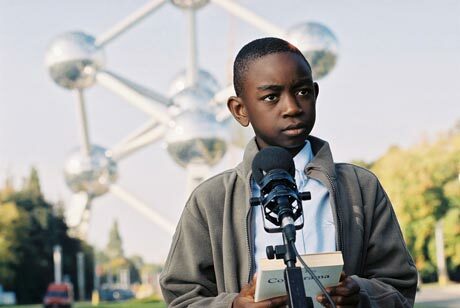 Dardenne brothers regular Olivier Gourmet stars as a Belgian inventor whos been living in the shadow of his novelist father. Imagine our heros surprise when he discovers that he was illegally adopted from parents in Canada. Thus he jumps on a plane and flails around the Quebec countryside, only to be part of a car crash that allegedly claims the life of his driver. No sooner has the crash happened then we flash back to the story of that driver: hes a mining expert (Paul Ahmaranhi) whose father developed a revolutionary electric car only to have it scotched by spineless executives. Fortunately, he just found the research his father hid; unfortunately, hes also in a coma having swerved to miss an emu. It wouldnt be cricket to tell more, suffice it to say that the movie is as formally and structurally interesting as it is dryly humorous. Gourmet will surprise admirers of The Son with his schlep-y, "cant get a break loser who never seems comfortable anywhere and hasnt a cool bone in his body. Ahmaranhi is the ideal opposite number, a self-assured thinker thwarted only by machinations from above. And Falardeau seems to have crafted a Bazinian realist style instead of the Canuck practice of parking the camera outside the action and not cutting in come hell or high water.